So this is the latest (at least currently published) Tribunal Book and I think looking at the Redcaps in it makes for an interesting contrast to the Stonehenge representation of Redcaps I discussed earlier presented in ArM4 Heirs to Merlin. For a start, there’s a lot more Redcaps – there’s actually 13 in total to be exact (all unGifted). For what seems such a geographically small Tribunal with only 9 large covenants detailed (although possibly many smaller covenants and a fair share of eremites perhaps) that seems like a generous share compared to the five detailed for Stonehenge. Daoine Domhain – the Deep Ones of Hibernia? 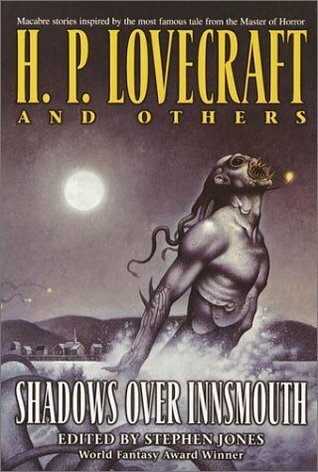 There’s a story I really like by Peter Tremayne in “Shadows Over Innsmouth“, a collection of Lovecraftian horror stories featuring the icthyic Deep Ones. Titled “Daoine Domhain”, the Gaelic phrase for approximately “the People of the Deep”, it proposes the Deep Ones as analagous to the Fomorians or Fomorach of Irish folklore. The story is set on the island of Inishdriscoll, an isolated community near Baltimore in Cork where a sinister aspect of the Old Ways remains in the form of a ritual sacrifice of an outsider every seven years… but enough spoilers. Read the story for yourself. So back to Ars Magica. 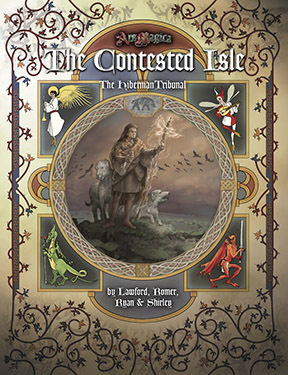 According to The Contested Isle: the Hibernian Tribunal, the Fomorach have long been exiled to the islands off the north coast of Leinster, where they maintain a remnant kingdom ruled by their king. The ArM5 Fomorach are depicted as a form of misshapen Magic Human linked to the seas, at home in water but suffering when on land, with the more powerful potentially possessing additional magic powers aligned to Aquam (see The Contested Isle, page 119). Their heroes and legendary leaders are portrayed as Aspects of powerful Daimons, further stressing their alignment to the Magic Realm. Realms of Power: Faerie, page 91 however presents the ancient Abgal variant of mermen, alluding to their underwater cities and tutoring of ancient humans and suggesting that these Faeries may be a response to stories told by sailors about the Atlanteans (Realms of Magic, page 90) or a similar tribe of Magic beings, the apkallu. In private discussion with Timothy, he always intended the Abgal to represent his version of Mythic Europe’s Deep Ones, although they were not specifically presented as such to remain within official paradigm at the time ie. 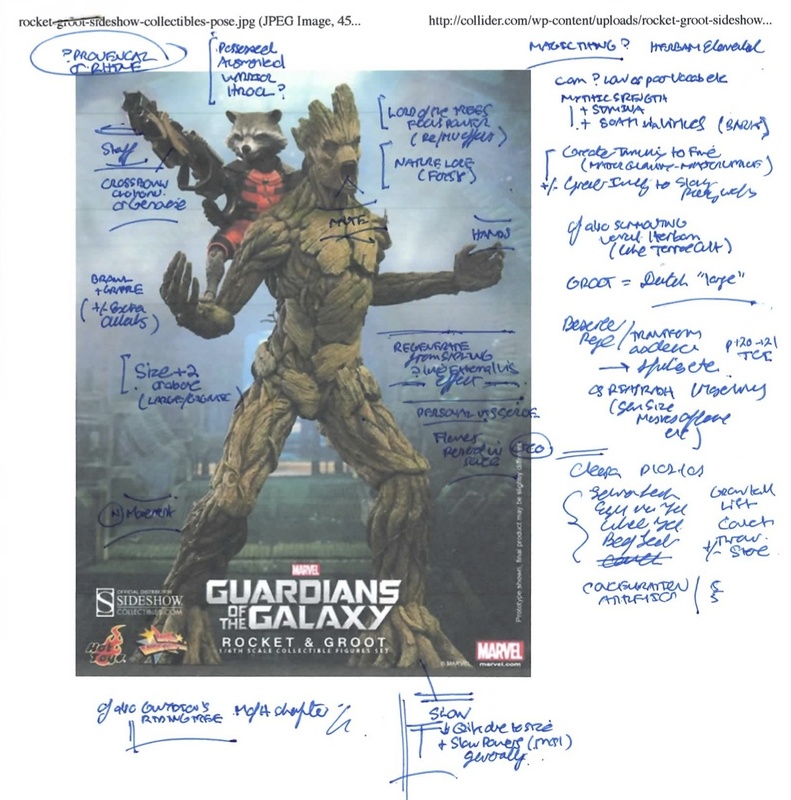 Line Editor: “No you can’t have Cthulu in Ars Magica Timothy” or similar. Turns out from the sketchy sources that the Abgal are thought linked to the apkallu or “sages”, ancient men-fish from the Erythraean Sea (modern Persian Gulf) detailed in Sumerian myth as teaching mankind the arts of civilisation (and magic). The first of the apkallu, known as Adapa (or Uanna) was referred to as Oannes and may be synonymous with the Philistine deity Dagon, later equated with the god Marnas of Gaza mentioned in the life of St Porphyry. Are these opposing depictions compatible?